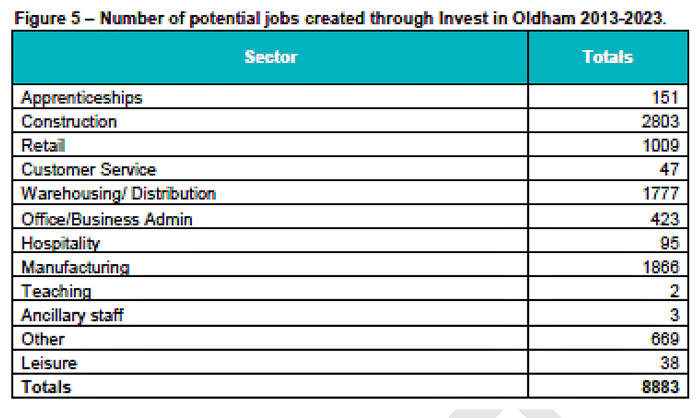 Oldham Council’s final draft of their 2016 – 2020 work and skills strategy brings to the fore some interesting facts within their publication that directly contradict their skills proposals for Oldham from within the same document. Their projections confirm that an increase in low-skilled employment within low value added industry sectors will outnumber job creation in any other sector. One of the most glaring realities of this council plan is the indirect confirmation that permanent jobs created at the huge Foxdenton development are not to be service, office or professional occupations but will be in low GVA industries such as distribution which is the lowest value added sector. 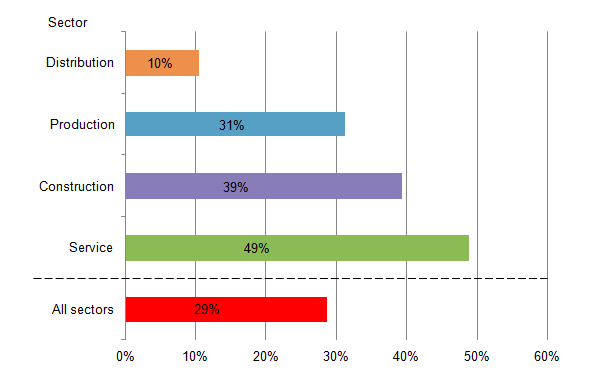 GVA (contribution to the economy) from employment at Foxdenton is expected to return just 8.2% of the financial contribution per capita (per person) compared to the average financial return from all the permanent jobs expected to be created at the Old Town Hall, Coliseum and Heritage Centre, Princes Gate, Hotel Future and Hollinwood junction. To simplify the permanent jobs and businesses at Foxdenton are expected to contribute just £2,531 to the local economy per employee per year. 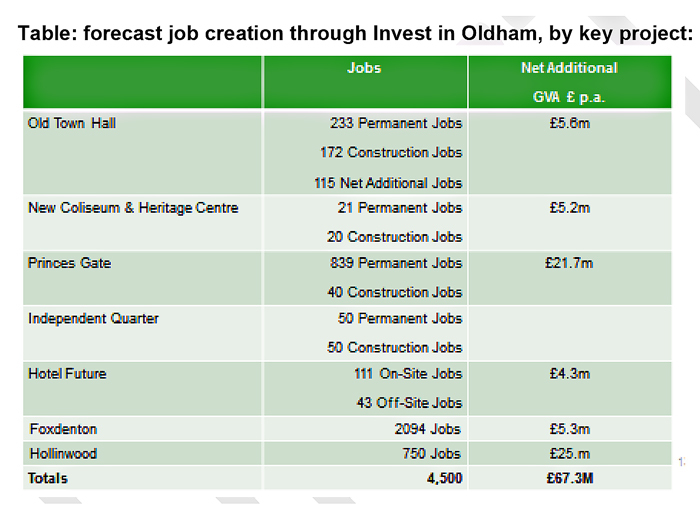 The average return of all permanent jobs and businesses at the Old Town Hall, Coliseum and Heritage Centre, Princes Gate, Hotel Future and Hollinwood junction are expected to contribute £30,946 to the local economy per employee per year. 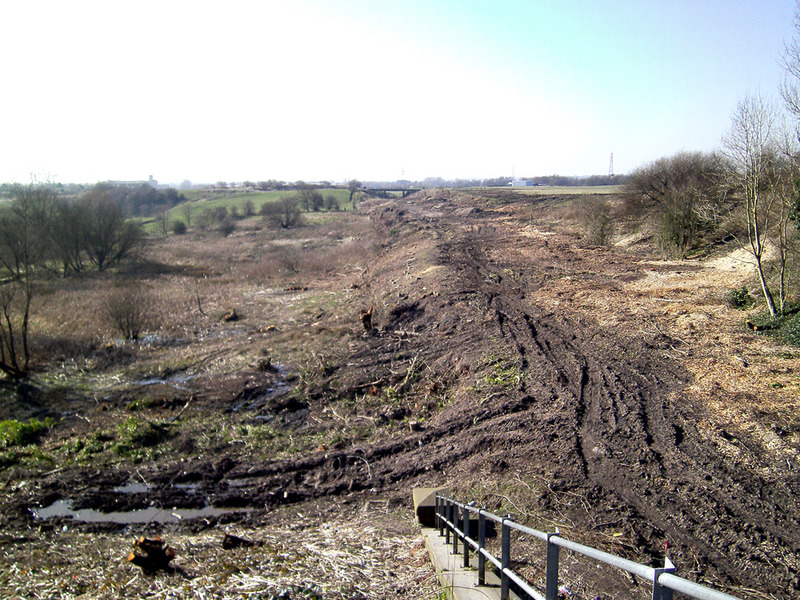 Good to know that low unemployment, crime and benefit claimant areas such as Foxdenton suffer the worst possible outcomes under a council that spends the majority of funding, grants and regeneration in the areas of high deprivation that earlier socialist council incarnations created and they continue to expand. Also of note is the much lauded independent quarter with a prediction of just 50 permanent jobs created but absolutely no prediction of GVA, independent retailers will of course set their own pay scales and many will be running the business without employees and will take pay relative to turnover. The majority of businesses in the independent quarter are valued below the lowest rateable value threshold and currently qualify to pay no business rates.